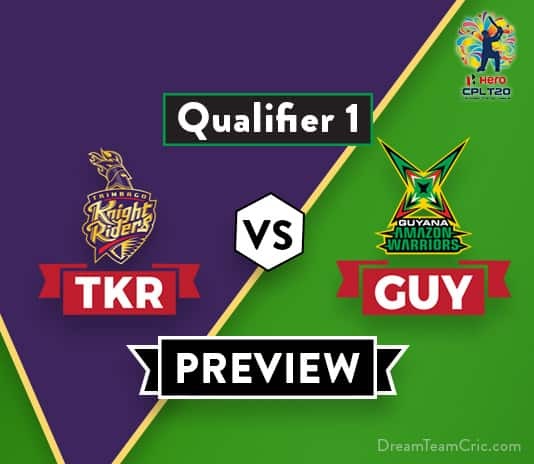 Hello and Welcome to our preview for Trinbago Knight Riders vs Guyana Amazon Warriors CPL Qualifier one match. 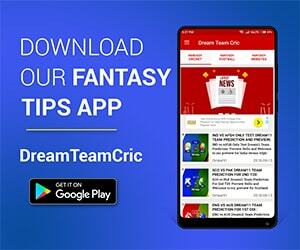 We are covering TKR VS GUY Dream11 Team Prediction, Preview and Probable Playing XI for the match. The match is to be played at Providence Stadium, Guyana. The group stage is done and dusted and we are now into the business end of the tournament. This is now the qualifier one where the top two teams from the league stage will go against each other. Winner will seal his place in the final while the loser will have another chance in the second qualifier. Trinbago Knight Riders rightfully ended as the table topper. They were dominant throughout the competition and constructed a six-match long winning streak which was broken by Guyana in the last match. Knight Riders boast of an in-form batting lineup and Fawad Ahmed and Khary Pierre have led the bowling attack. Guyana Amazon Warriors were at the fourth spot before their last match of the group stage against Trinbago Knight Riders. The Warriors managed to chase the target of 159 in just 14.1 overs and leapfrogged others to claim the second spot and also secure a place in the Qualifier 1. Hetmyer 59(30) and S Rutherford 45(13) batted explosively to complete the chase. TKR VS GUY, Qualifier One, Caribbean Premier League, 2018. With the playoff spot confirmed, TKR rested Ali Khan and Sunil Narine. They included Kevon Cooper and Nikita Miller. 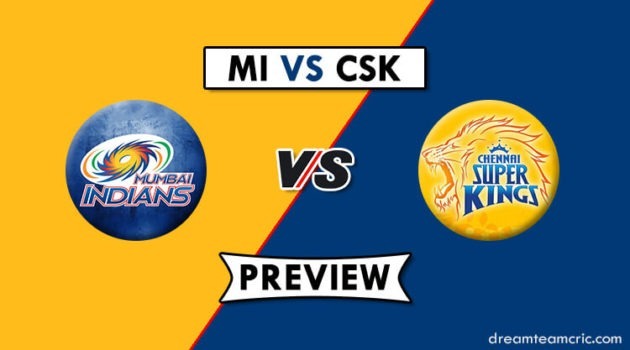 Both Narine and Ali Khan will make their return to the team for the crucial encounter. Colin Ingram played his first game of the season as he replaced Chris Lynn. The Warriors made three changes in the last match out of which two were forced due to injury. Roshon Primus, Keemo Paul and V Permaul were dropped. S Rutherford, Rayad Emrit and Devendra Bishoo came back in the team. While D Bishoo’s inclusion remained doubtful, Emrit and Rutherford will stay in the playing XI. R Shepherd or V Permaul can take his place. Remaining playing XI is likely to be the same. Luke Ronchi (wk), Cameron Delport, Shimron Hetmyer, Jason Mohammed, S Rutherford, Chadwick Walton, Chris Green (c), Sohail Tanvir, Rayad Emrit, Imran Tahir, Romario Shepherd/V Permaul. Captain and Vice-Captain choices: Dwayne Bravo, C Munro, S Hetmyer, S Narine, C Ingram, L Ronchi, B McCullum.